In this post I will be reviewing the Pattern Trader Pro forex robot which has been developed by the Leap FX team. Pattern Trader Pro runs in the free to download and very popular MetaTrader 4 trading platform. 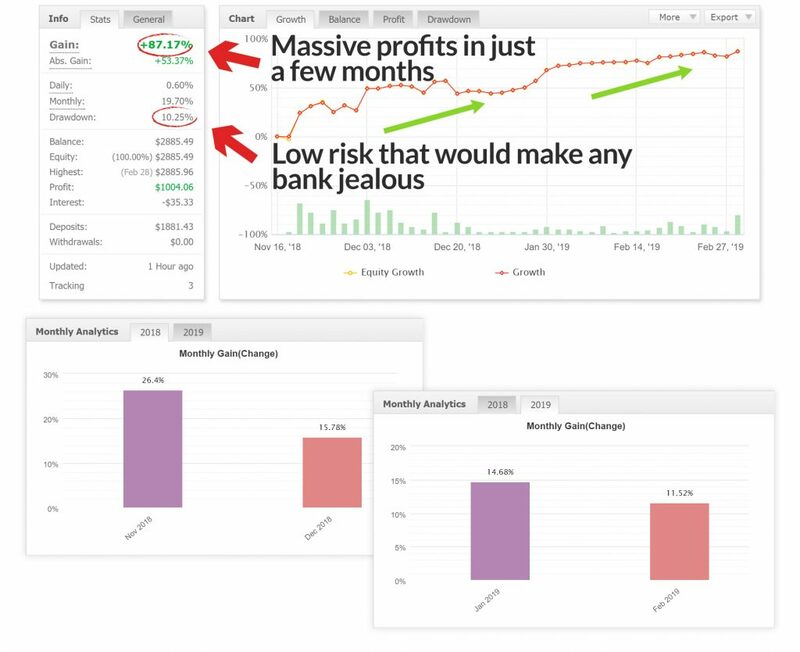 At the time of me writing this Pattern Trader Pro review, the real verified by myfxbook account shared by the developer is showing a 95% overall gain in around 5 months of trading with a monthly average of 15%. The drawdown is acceptable at round 17% with almost 300 trades averaging at a win rate around 65%. Pattern Trader Pro is suitable for any level of forex trader as it is a fully automated forex robot although whatever your level of trading expertise, always make sure that you understand the risks involved with trading before using any forex software. As the name suggests, the Pattern Trader Pro forex robot incorporates trade entries based on price action patterns. It is based on a manual forex trading system utilising candlestick patterns. These patterns can take years of studying to master so having a forex robot that can take trades based on them can save years of practice and also remove the need for constantly watching the charts for such patterns. 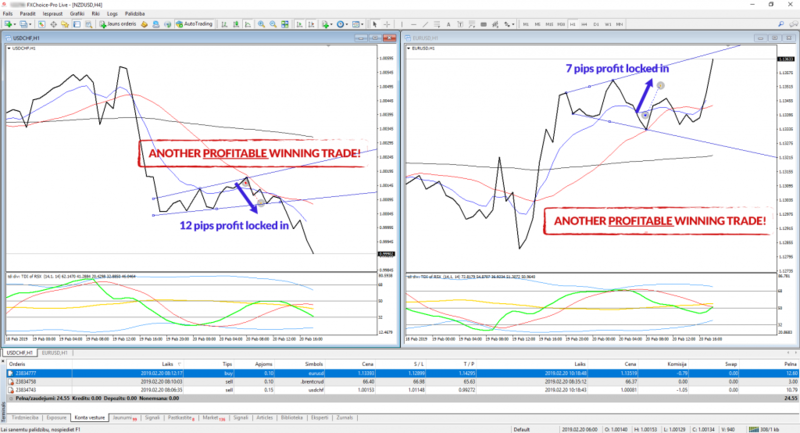 The average Pattern Trader Pro winning trade is around 40 pips whilst the average loss is around 30 pips. This gives a slightly favourable risk to reward ratio which lines up well with a win rate of around 65%. Pattern Trader Pro trades on multiple currency pairs which can give good trading diversity to your trading portfolio. It does not use any dangerous grid or martingale-based money management strategies so therefore does not require high risk. You can choose to trade all or a select few of the recommended currency pairs. Personally, I would trade major currency pairs such as the EURUSD and GBPUSD to save on trading costs such as spreads and slippage that the more exotic currency pairs could have. Furthermore, for ideal trading conditions I would use a true ECN forex broker with plenty of liquidity providers (LP’s). 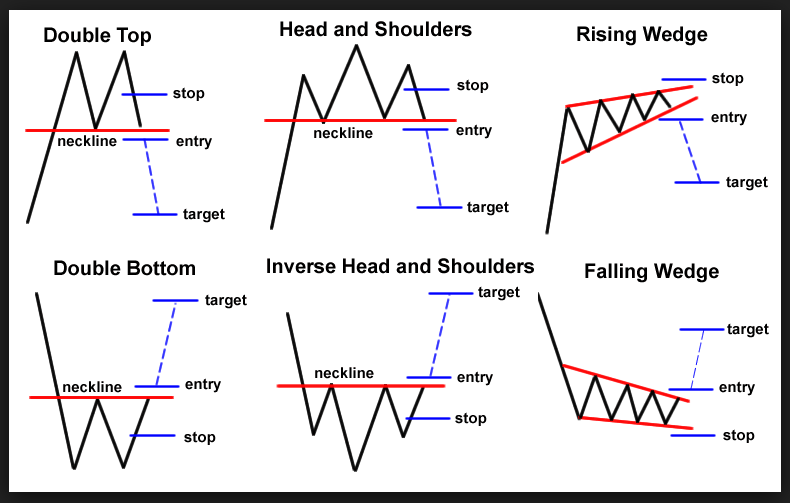 Pattern Trader Pro is good at finding patterns such as double tops, rising wedges, head and shoulders, etc. 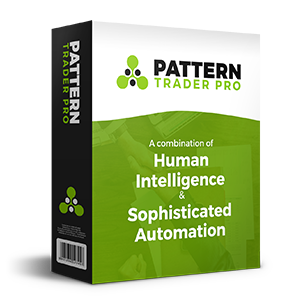 What’s good is you do not need to have an understanding of these patterns as Pattern Trader Pro is fully automated! The Leap FX team haven’t shared any back tests on the official Pattern Trader Pro website although we do have 2 real trading accounts to follow from myfxbook and FX Blue. Overall, judging solely by its current performance at the time of this review, Pattern Trader Pro is performing very well with moderate drawdowns and good diversity. I would be interested to see if it has continued this good start at the time you are reading this review. Furthermore, I like the fact that Pattern Trader Pro uses price action analysis as this style of market analysis tends to adapt to the current market conditions. 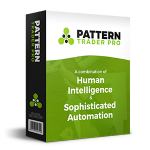 Pattern Trader Pro include full support, detailed instructions and a money back guarantee. Previous Previous post: What is Forex Sentiment Analysis and how to apply it to forex trading?